Some people were born with great a great profile including a well projected chin, and others were born with underdeveloped or recessive chins whose appearance could be improved. 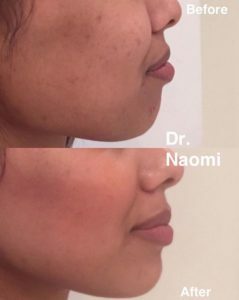 For those who weren’t born with the perfect chin, it is simple to just inject them with chin fillers to improve the appearance. 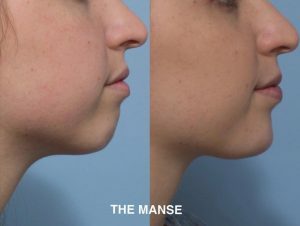 Shape of the chin: Some patients need more length, width, more angular, less angular chins. Some patients think their chins are too pointy, these chins can be made more round. Some patients think that their chins are too square and we can make these look more round. Some patients want a more pointy, angular appearance to their chin. The patient will be assessed and the doctor will have a discussion with the patient about their anatomy, and how it can be improved. Typically, I will inject 1-3mls at a first treatment then review the patient at a month. If they said ” I liked the swelling after the last treatment and was disappointed when it went away” then I would recommend them to have a further treatment, and repeat this until they don’t like the swelling afterwards. 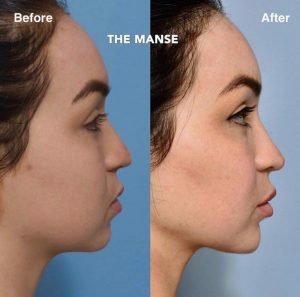 What happens during the chin filler treatment itself? If a cannula is used, a small injection of local anaesthetic may be injected into the skin and then a fine needle makes a small hole in the skin where the cannula is inserted. 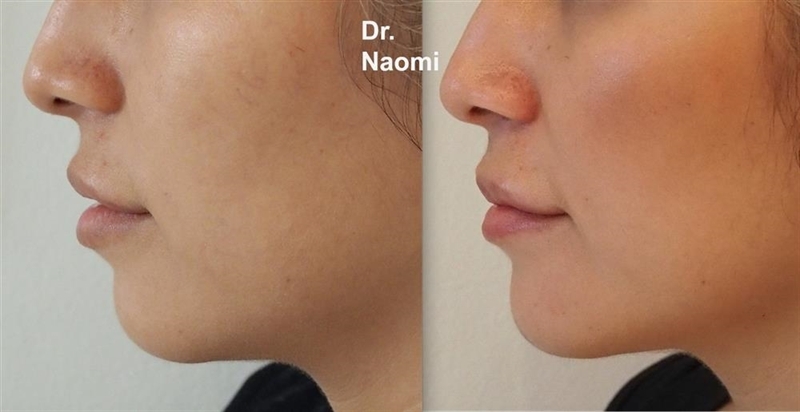 How will I look after dermal filler in the chin? 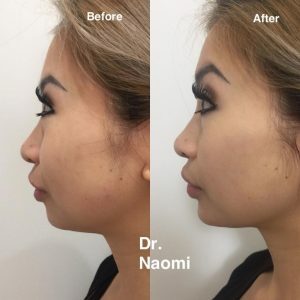 How will I look after chin fillers? 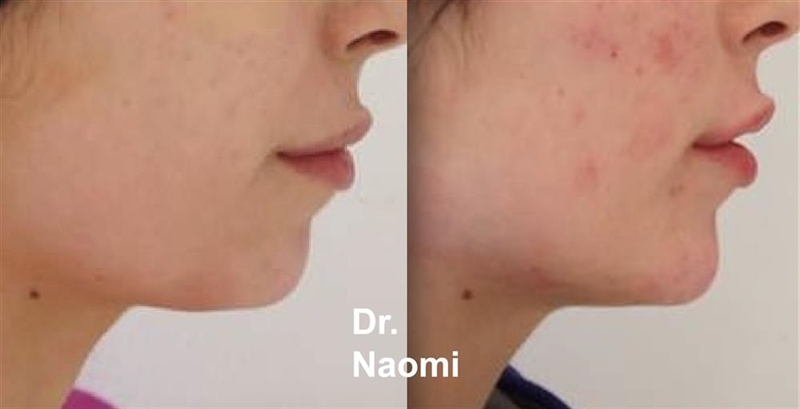 What to expect after chin filler treatment? Cost is per syringe. Number of syringes required depends so much on where the patient starts in terms of their chin anatomy and also depends on how big a change they would like to achieve. Cost is starting from $750 – $800 per ml.